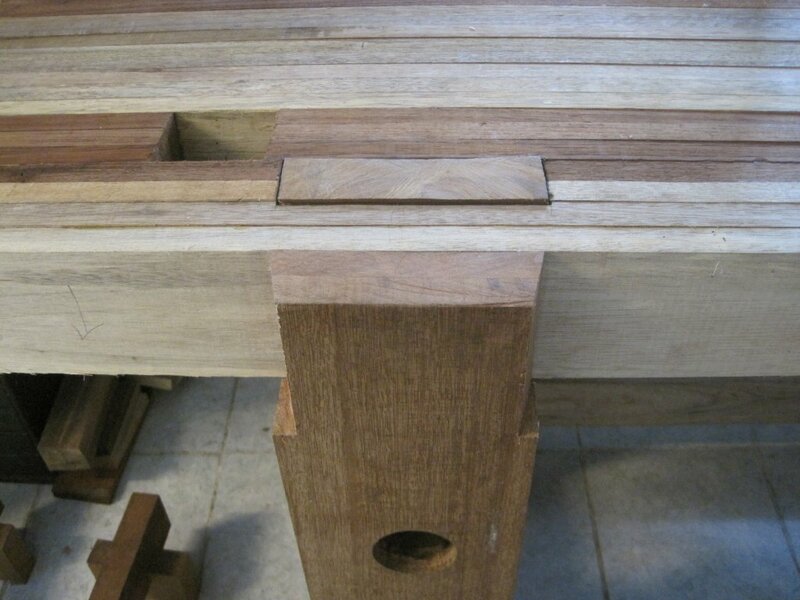 I believe you’re right – it DOES look like a bench! As massive as that thing is, it’s not going anywhere. Don’t worry abut the cosmetic imperfections – your first project on it will give you plenty of those. Can’t wait to see the rest of the details. Hey there Jeffrey! Nice to hear from you. This shop is in Malaysia, where I don’t have any temperature controls but at least I have very little change in humidity! 🙂 I have only been a woodworker for a few years, and DEFINITELY consider myself to be a relative beginner. And yep, I have several of Grandpa’s tools here in the shop (including the #5 jack plane that is the main banner photo up top). And most of those tools belonged to Great Grandpa Rudolf before John. It’s pretty cool. Do you have any pictures of Rudolf? Hi Eric, congrats on the great workbench! 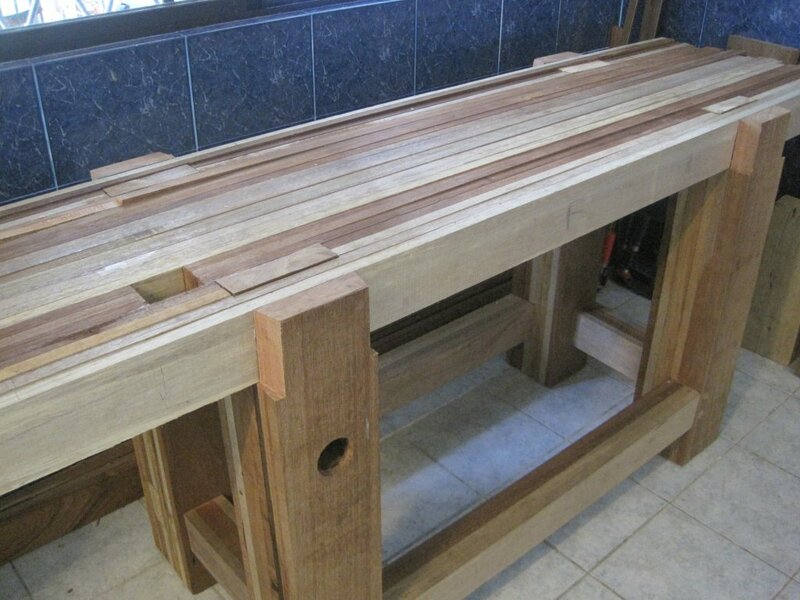 I need some advice regarding wood and woodworkers in Malaysia, hoping that you will be able to point me in the right direction. I work as paintings conservator for a foundation involved in historical art collections. I need to have stretchers custom made to specification in KL, but have not found anyone so far who can make these properly. Any suggestions? I will also need some advice on wood types for frames and someone who could make frame prototypes. Hoping that a fellow wood enthusiast might be able to offer help and advice. Thanks!